Here at scenic Filberg Heritage Lodge and Park, the sun’s shining and the seafood’s aplenty. 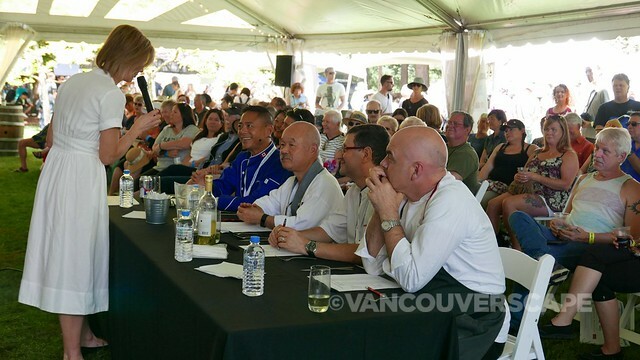 I enjoyed the BC Seafood Festival’s Signature Weekend during a stretch of non-stop sunshine. 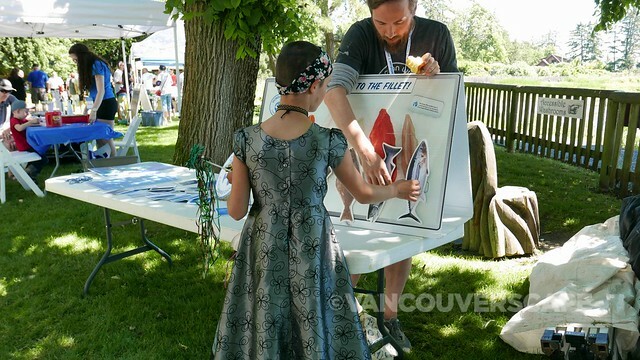 Two days of seafood competitions, food and beverage sampling, demonstrations plus music and ocean-themed kid’s activities (including cooking classes) added up to a fabulous weekend in the Comox Valley. 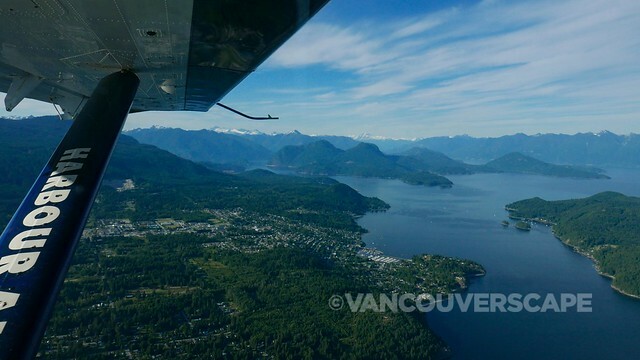 It’s not often that I get the chance to head over here, so I hopped onto a Harbour Air seaplane in downtown Vancouver and made my way over on Saturday morning. 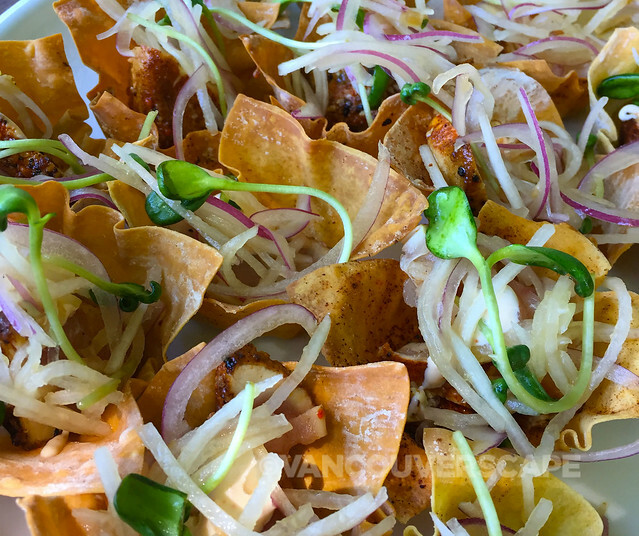 Once I arrived and checked into my hotel room, I shuttled over to the site where several chefs were in the middle of demonstrations and competitions. 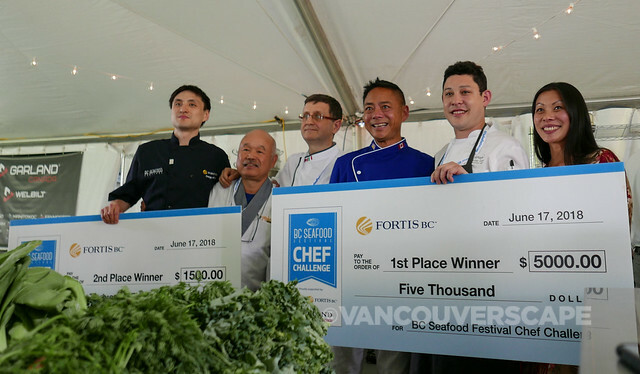 Two stages (FortisBC Chef’s Stage, Coast Capitol Savings Chef Stage) hosted chef challenges and demonstrations. 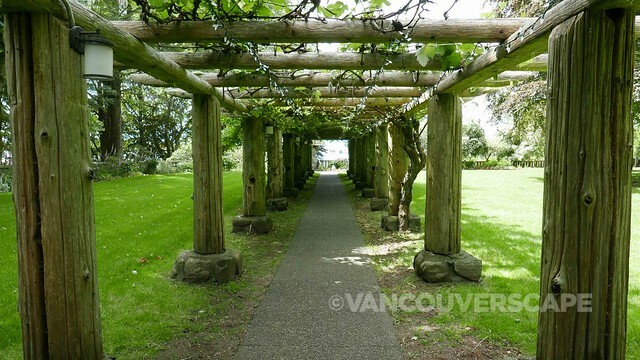 Filberg Heritage Lodge and Park is set amidst lush gardens, a petting farm, little wooden log houses and the coast. 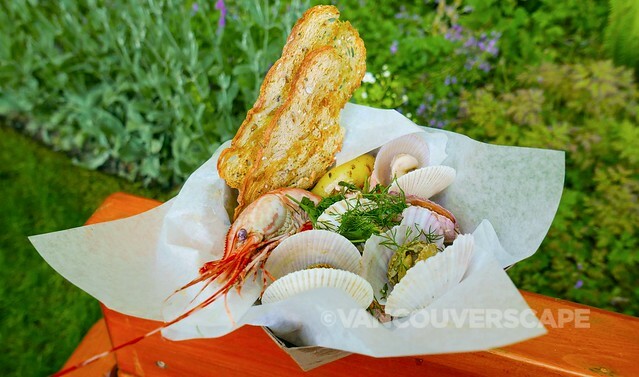 Between all of this, numerous tables filled with seafood, beer, wine and spirits tastings spread out over two park levels make for an ideal way to discover BC’s abundant seafood, wines, craft beers and spirits. The main stages and entertainment stage are located far enough between one another so they don’t overpower one another sound-wise. 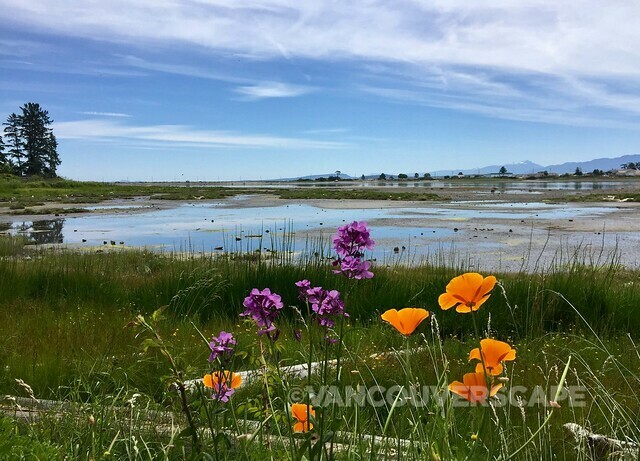 Past the stone walkway, thoughtful educational organizations and a kids zone are close enough to the coastline to enjoy a stroll at low tide. 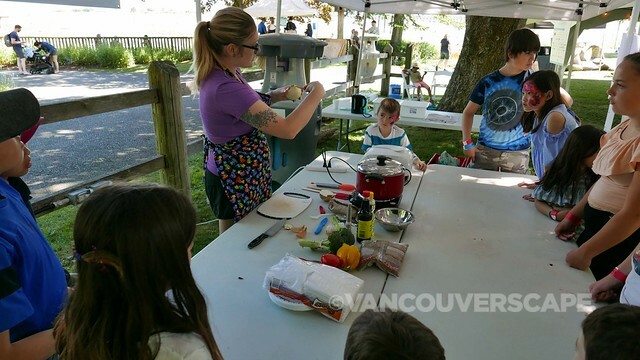 I happened to walk by one of the tents as a kids cooking class was underway. 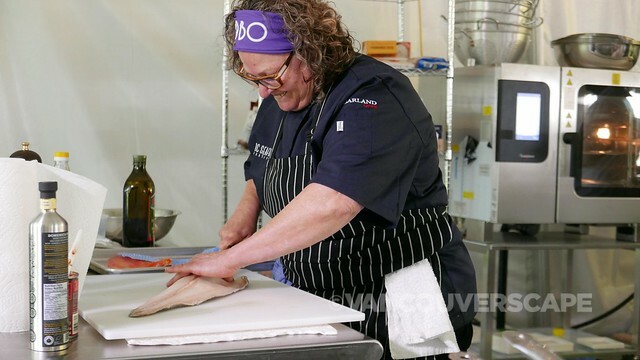 During the Signature Weekend, three rounds of four chefs each compete using both black box secret ingredients and a couple of their own choosing. The competition winds down to six finalists for Sunday’s heats with a final awards presentation at the end of the day. 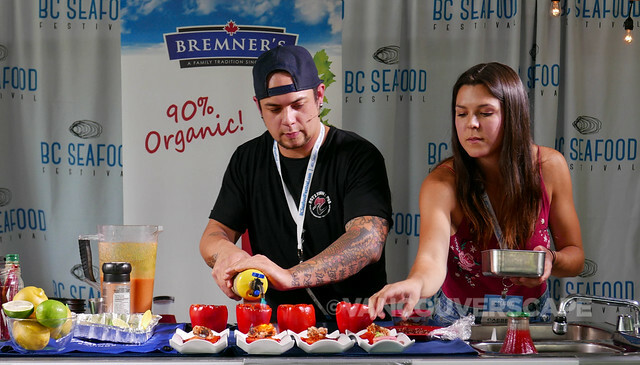 On Saturday, I checked out Quang Dang, Chris Braun, Abby Ferrer and Shawn Gallway work with two secret ingredients and 45 pressure-filled minutes with which to prepare a gourmet dish for the four judges to sample. Calgary natives Quang Dang and Matthias Wong went to battle for the $5,000 cash prize at Sunday’s final showdown (with a $1,500 prize to the runner-up). 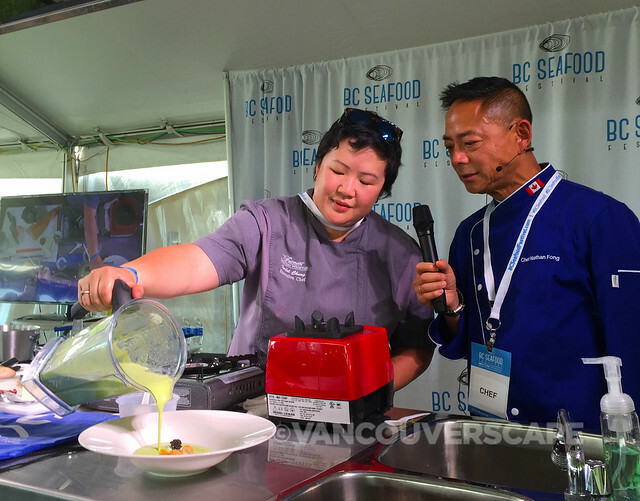 Three of these four ingredients had to be present in this final chef’s challenge: Geoduck, sablefish, trout, Albacore tuna. 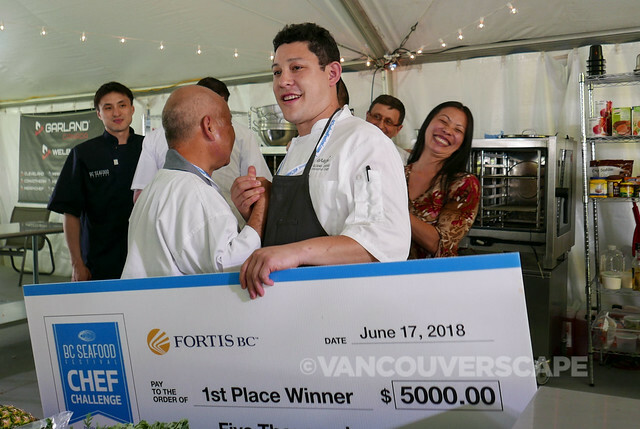 The winner: Chef Quang Dang of Araxi Restaurant & Oyster Bar, Whistler. 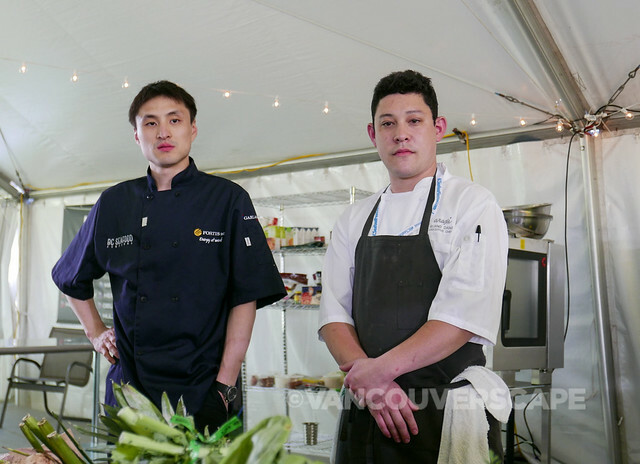 The runner-up: Matthias Fong of River Café, Calgary. 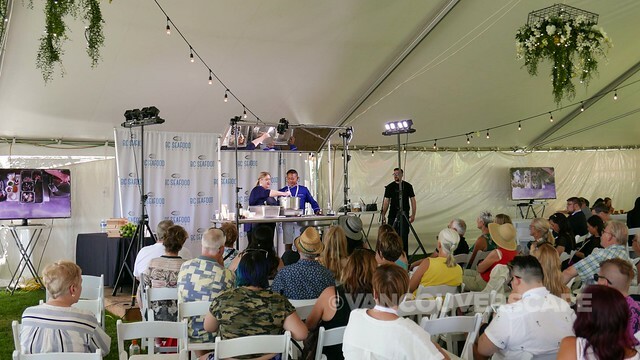 The celebrity chef demos were also pretty cool to watch inside the shady Coast Capitol Savings tented stage. 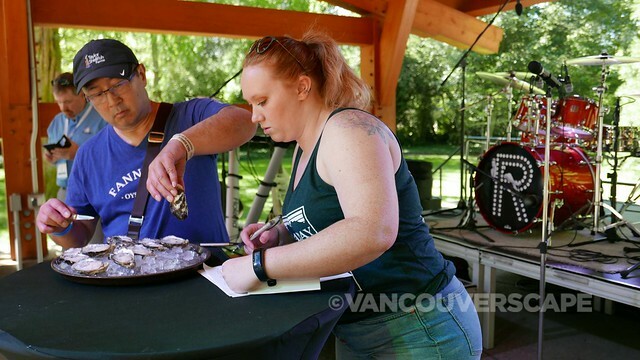 Also on the schedule: an oyster-shucking competition! 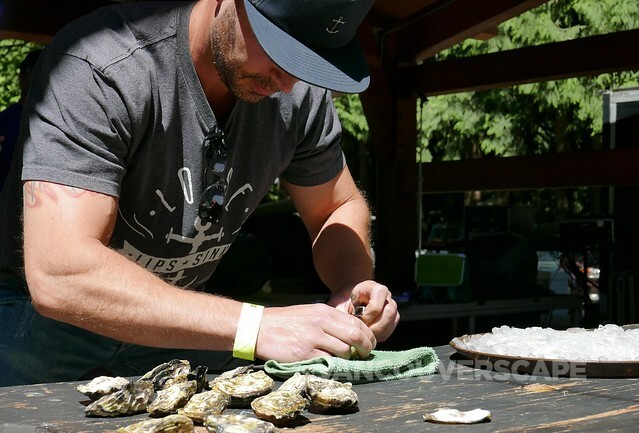 We got to watch some of the top contenders work their mad skillz using meaty Fanny Bay Sun Seeker oysters from BC’s Desolation Sound. 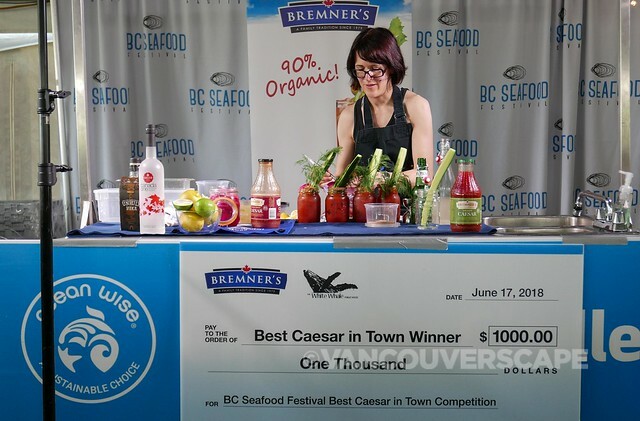 Eight bartenders competed for a $1,000 cash prize for their Caesar creation – including a seafood twist of course. 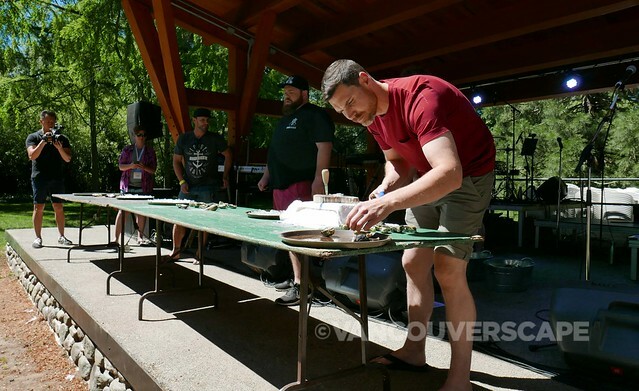 Bartenders had 15 minutes to build their creation for the judges. 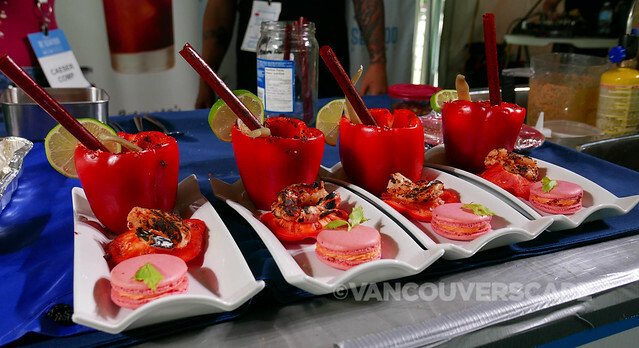 Caesars were judged on appearance, taste/flavour, garnish and relevance (how much seafood is in the recipe). 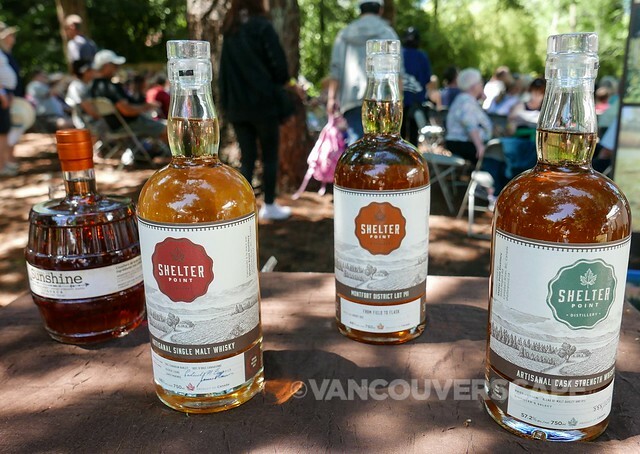 They created four Caesars – one for each judge – plus one that was auctioned off for charity. 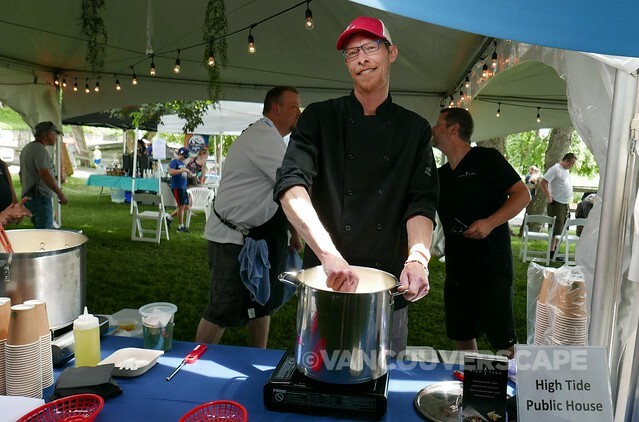 Eight restaurants presented their chowder to judges using Ocean Wise ingredients, the winning restaurant getting into Vancouver Aquarium’s upcoming Chowder Chowdown plus membership into the Ocean Wise Program. 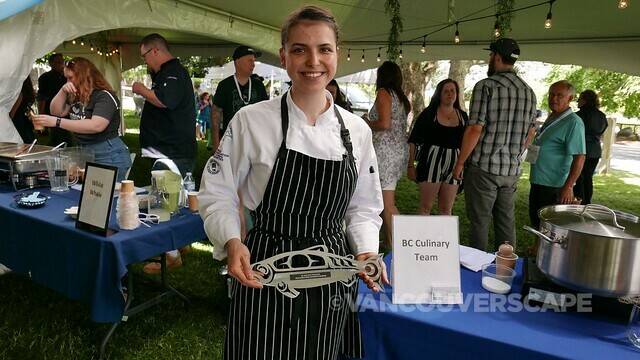 First place went to Leah Patitucci of Burnaby’s Pear Tree Restaurant. 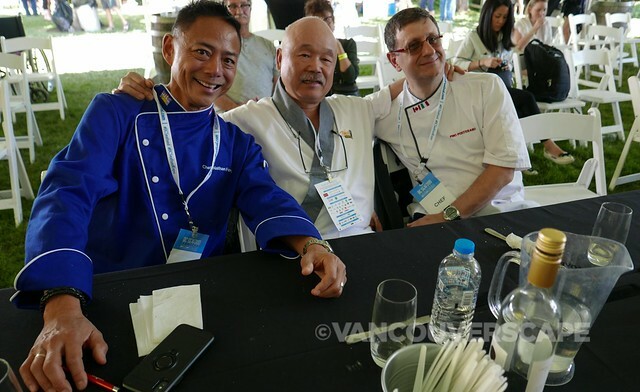 Chefs that you’d not normally have in your backyard included Scott Schneider from Al Fiori, The Langham Hotel, New York City; Abby Ferrer, Star Noodle, Lahaina, Hawaii; Mark Best, Bistro by Mark Best, Dream Cruises’ Genting Dream, Singapore; Jose Duarte, Taranta, Boston and Tim Ho, The Food Gallery, The Langham, Hong Kong. 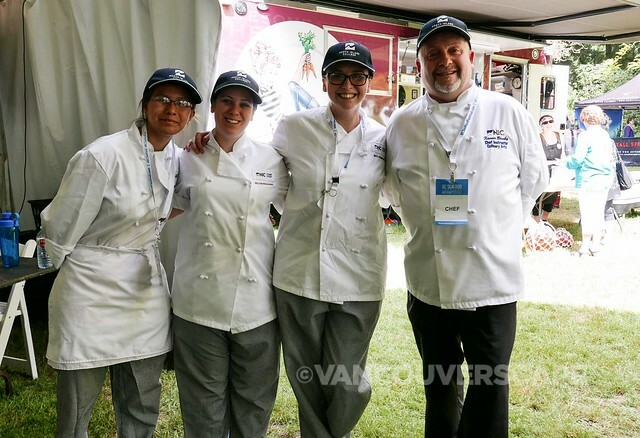 A group of talented chefs from Culinary Team BC were also on hand, serving as BC culinary ambassadors at competitions around the world. This was a good ol’ fashioned seafood boil following the day’s activities. We lined up for some tasty seafood and had a few oysters to boot. Live music during dinner kept us in good spirits as the heat started to give way to cooler breezes. Toronto Celtic quintet Enter the Haggis topped off the party over at the entertainment stage. What really impressed me about the weekend was the relaxed and friendly vibe. 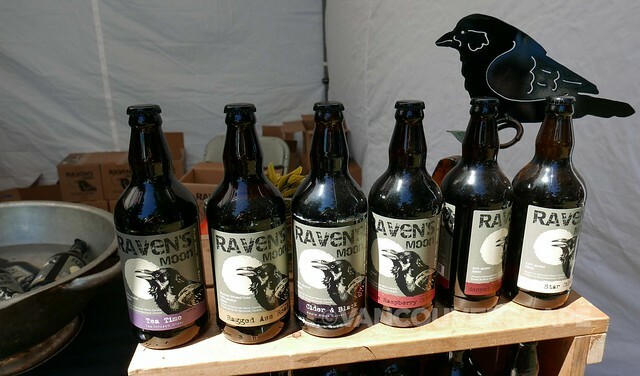 All the organizers, vendors and volunteers are committed to making the event a success. Next year, I hope to arrive a few days early to experience some of the unique, behind-the-scenes tours on offer (deep water oyster farm, manatee hatchery). And then there’s Shucked!, Canada’s largest oyster bar happy hour to consider! Seafood lovers, this is your jam. 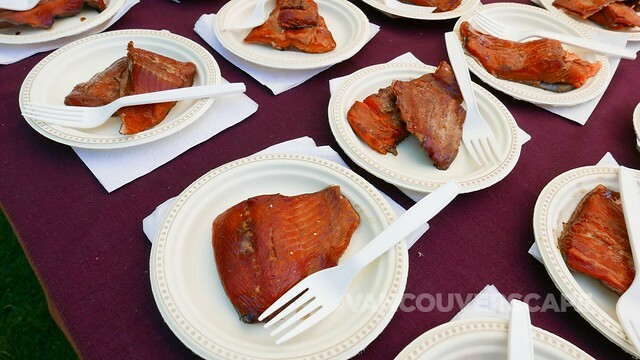 Look for the BC Seafood Fest’s 13th edition date announcement and schedule online. It’s a hassle-free weekend! 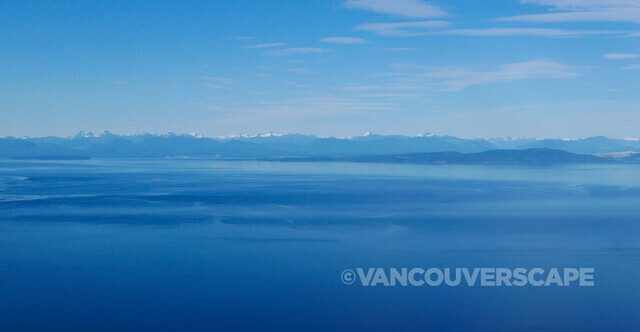 From downtown Vancouver, Harbour Air has a direct route to bring passengers right into Comox. 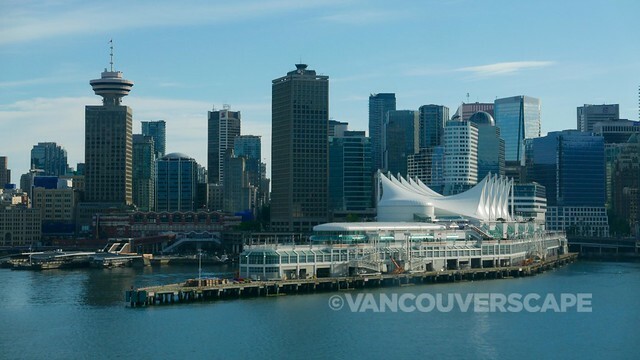 Ideal for a summery long weekend getaway, the 50-minute flight leaves from downtown Vancouver’s harbour terminal. 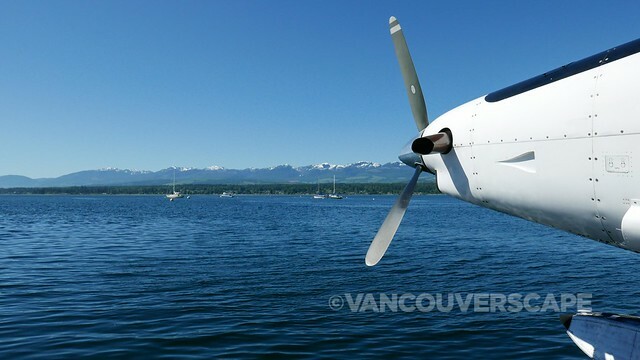 Once we’re airborne, it’s sit back and enjoy 45 minutes aboard one of Harbour’s DeHavilland DHC-III Turbine Otters. 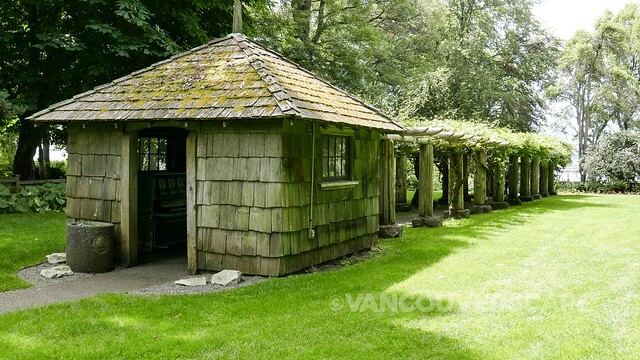 The route heads to the North Shore, along the Sunshine Coast, above Gambier Island, Sechelt Peninsula and Texada Island before arriving in Comox. 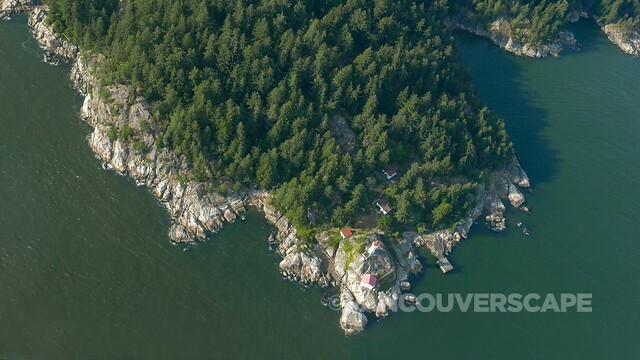 Another reason to support Harbour Air is their commitment to being fully carbon-neutral (since 2007). 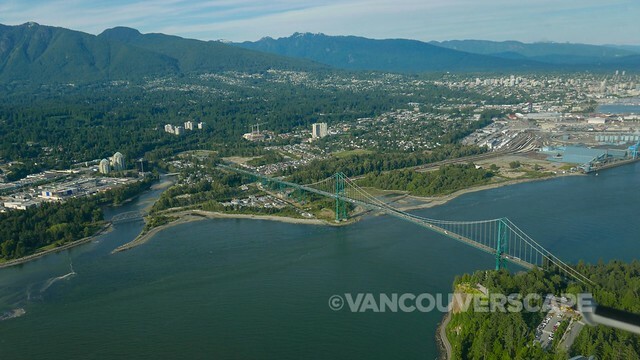 YVR Airport granted them the Clear Skies Award in 2015. 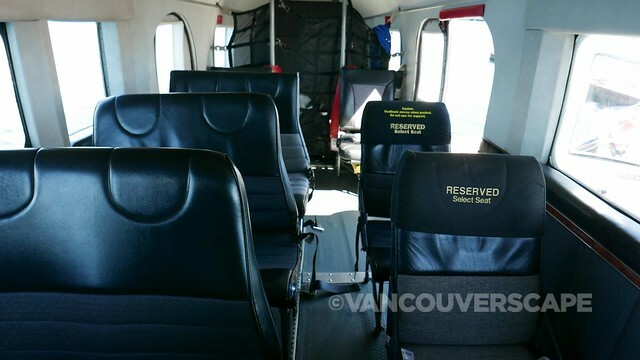 Harbour Air also gives back to local charities and have raised over $67K, donating over 800 flights annually to worthwhile causes. They’re even a BC Ride to Conquer Cancer sponsor and team participant. 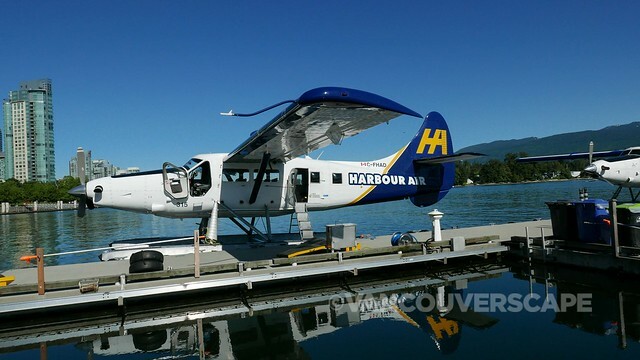 If you’re looking for other Harbour Air destinations (11 along BC’s coast), head over to Harbour Air online. 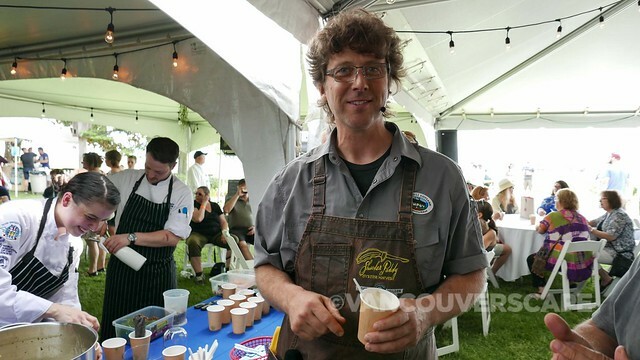 I attended the BC Seafood Festival as a guest. My flights were sponsored by Harbour Air and hotel stay by Holiday Inn Express & Suites. Opinions, as always, remain my own.